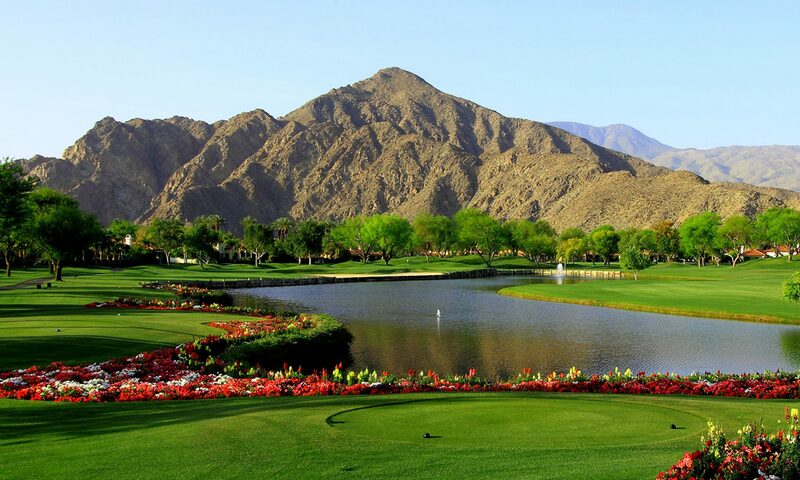 The Citrus Club in La Quinta is a golf course community located in the heart of La Quinta. It is within walking and/or biking distance to Old Town La Quinta and approximately a mile from the La Quinta Resort. The Citrus offers a private golf course, a lovely Club House, and a state of the art exercise facility. In addition, The Citrus is actually the private club associated with the La Quinta Resort, so if you join the Citrus Club as a golf, social, or sport member, you are automatically a member of the Resort. That adds two golf courses, another club house, an incredible tennis program inclusive of 21 tennis courts, an additional exercise facility, and a gorgeous Spa with a staff that will relax you with many treatments from which to choose. With the membership to the Club comes discounts on the restaurants, golf & tennis shop, and the spa at the Resort. Any of the three Citrus Memberships (golf, social, or sport) is one of the best values in the Desert! The Citrus Club’s location was once a citrus grove, thus the name. There are still many Citrus trees surrounding the golf course and homes in the community, which make the area picturesque and inviting. The Citrus Club House has a beautiful outdoor patio inclusive of a fire pit (and the best gas fireplace indoors), members enjoy sitting around it after a great day of golf on the Pete Dye 18 hole golf course. The clubhouse’s central dining area and bar are open each day for breakfast and lunch, and three days a week for dinner, showcasing an excellent menu by their accomplished chef. Additionally, breakfast and lunch are served at the club house at the Resort, as well as in the restaurants in that location. At Gallaudet.com, we are well versed in Citrus Club and other golf communities in La Quinta California, and are happy to discuss prices and differences with you. We enjoy helping our clients find that community that best fits their needs. For information on The Citrus Club, or any other golf course community in the Palm Springs area, please contact us. We are here to help. Here’s a hot deal alert for all the savvy buyers out there! This shortsale just came back on the market and is an incredible price. Watch the video below to learn more. Hot off the Press: New Membership Prices for The Citrus & PGA West! The Citrus Club/La Quinta Resort and The PGA West Communities announced some unbelievable new prices for their golf memberships today! At the Citrus Club, the membership that formally cost $100,000 and was a refundable membership is still available. However, a new category has been added; a non-refundable membership priced at…..drum roll please…..$30,000! This still includes the 3 golf courses, the tennis facility at the Resort, the Spa, the exercise facility at the Resort, the exercise facility at The Citrus Club, and two different Club Houses. In addition, the social membership, which includes everything except golf has been lowered to $5000 instead of the previous $15,000. At PGA West, in addition to the refundable membership of $125,000, there now is also a non-refundable component which will cost $40,000 for all the same priviledges! This includes the 6 golfcourses at PGA West, the tennis, the exercise facility, all the Club Houses, etc! PGA West is also offering a non-refundable social membership of $5000. The monthly dues at both clubes will remain unchanged. What an exciting time to think of joining a wonderful golf club in the desert!